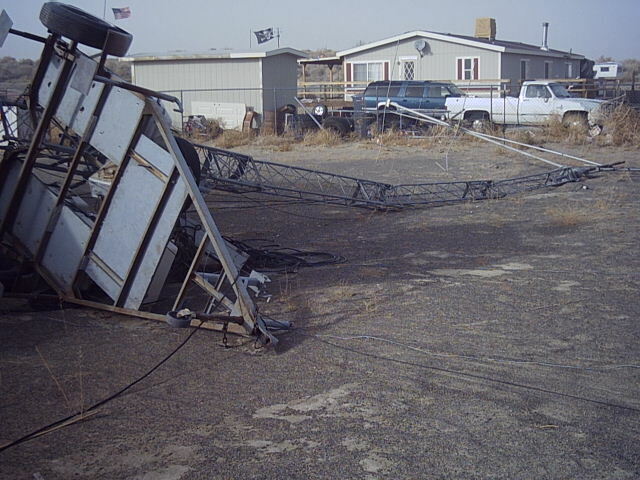 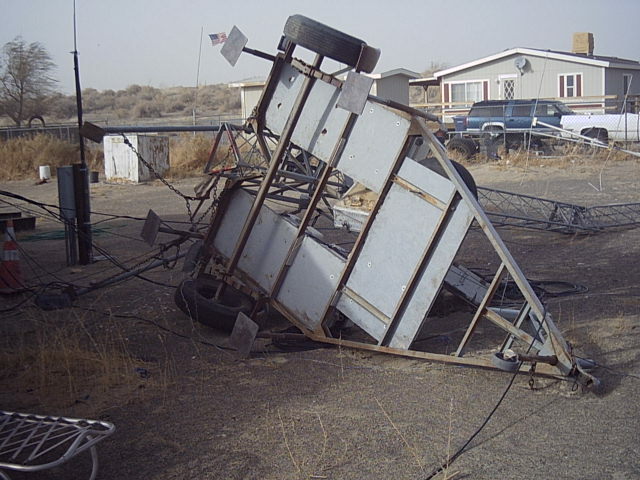 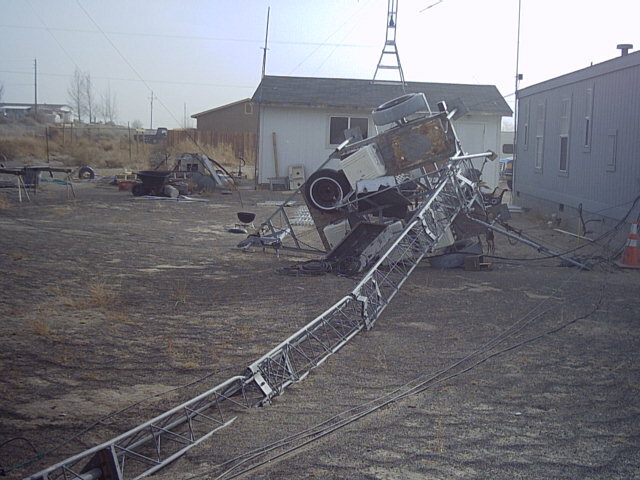 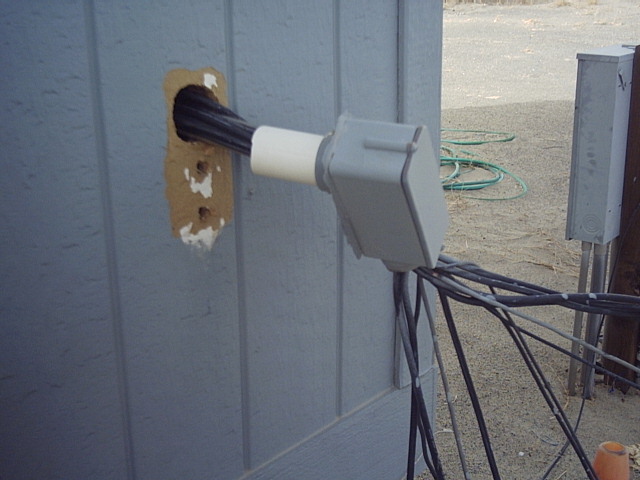 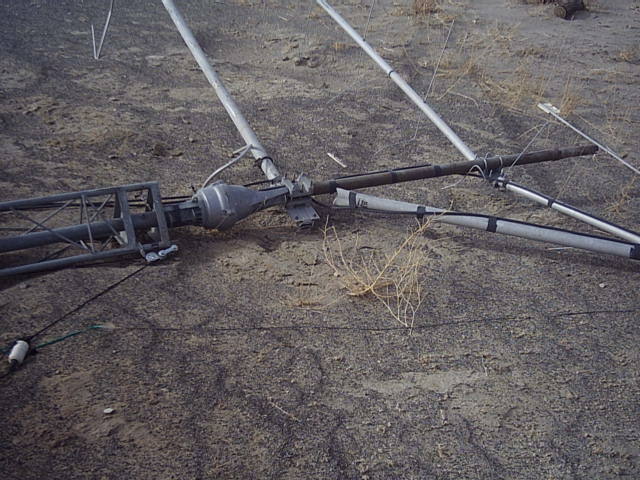 85 MPH wind gusts toppled the tower and trailer. 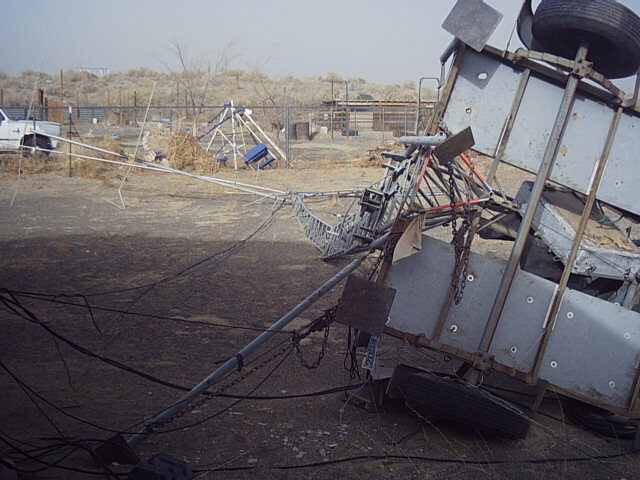 Stunned at what I am seeing. 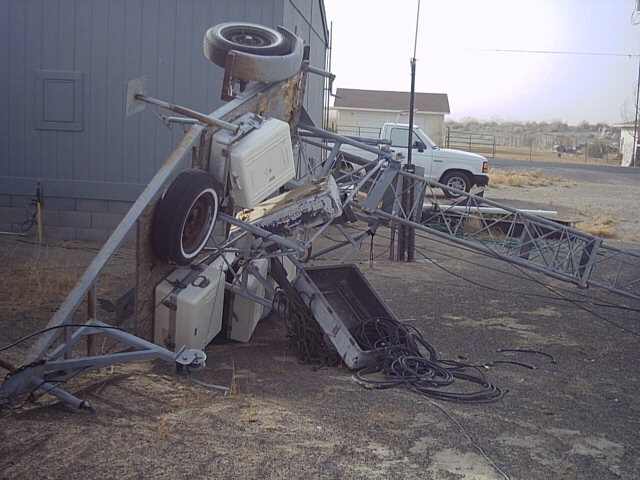 The impact must have been impressive. 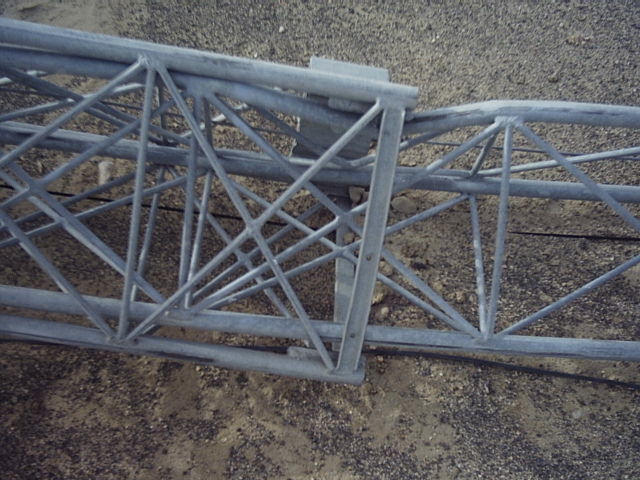 Bending the tower like it was plastic. 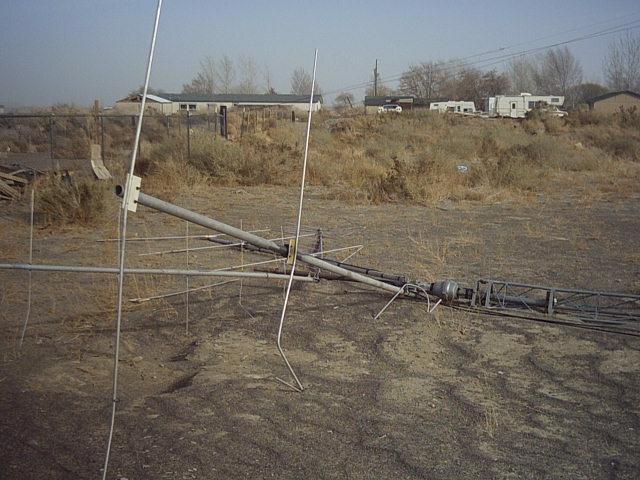 Leaving the antennas looking more like modern art.